Do you Sell Coffee Online? Install our free E-commerce App and Sell Coffee in just a few short steps. The consumer demand for high-quality coffee and specialty coffee preparation tools is rapidly growing, so the time for you to launch your online coffee shop with Ecwid couldn’t be more perfect. With only a few short steps you can sell coffee through a new or existing website with Ecwid’s free and feature-rich shopping cart. Launch your business or expand to a wider audience and make the most of coffee e-commerce with Ecwid. Whether you plan to sell coffee beans in small or large batches, or set up a shop for coffee tools such as grinders, presses, pour over devices, cups and more, Ecwid puts you in complete control of your business. Just see how New York’s famous Café Grumpy uses Ecwid to sell coffee, merchandise and even classes through their online coffee shop. Once you’ve signed up for a free Ecwid account, adding an online coffee shop to your website takes only a few short steps. And while you may be the coffee guru, there is no need to be a coding master to sell coffee online. Just copy and a paste a few short lines of code into your site and you’re ready to go before your next cup is brewed. Your coffee store will be seamlessly integrated into your website and display beautifully on websites and mobile devices. 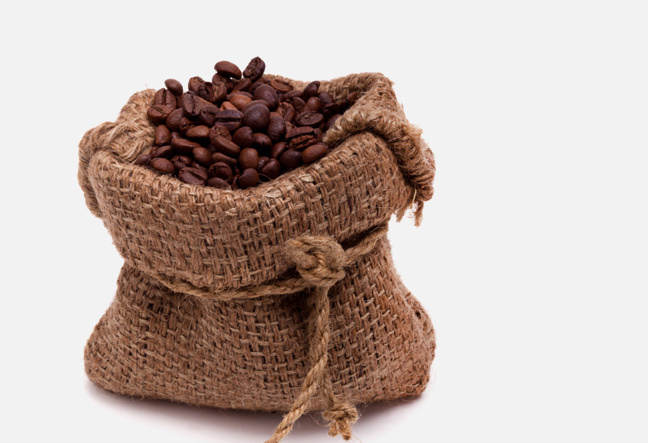 With your online coffee shop, you’ll help your coffee customers save time and make their process of attaining that delicious black gold an incredibly easy process. When you sell coffee using Ecwid’s shopping cart, you’ll have access to tons of tremendously powerful features. Customers will browse and search through your coffee products quickly and smoothly with Ecwid’s lightning fast and easy-to-navigate gallery. Uploading product images and descriptions is a breeze and all of your inventory will be easily managed from one control panel. If you have multiple websites or a Facebook page your entire product inventory will be mirrored and updated automatically across all pages. When you sell coffee online, establishing a strong connection with your caffeine-fueled customers is incredibly important. Ecwid makes building a large, reliable customer-base easy by offering the ability to adjust shipping and payment options, offer special discount codes, track customer data, and network through social media. Grow your business and become a coffee e-commerce guru by adding an online coffee shop to your website today.